a.P.A.t.T. 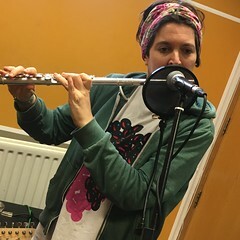 and Katy Carr performed live in session on Resonance FM on Saturday 5th March 2016. This entry was posted in dexter bentley, hello goodbye show, Hello GoodBye: Playlists, resonance fm and tagged a.P.A.t.T., apatt, dexter bentley, hello goodbye, katy carr, resonance fm. Bookmark the permalink.